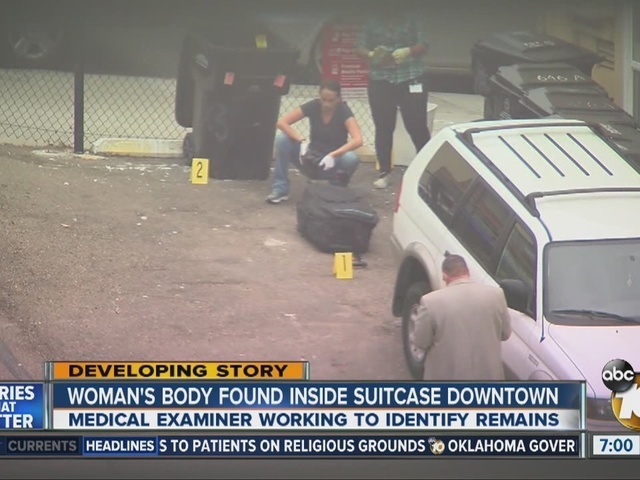 A suitcase containing the remains of a woman was found next to a row of garbage cans behind a downtown hotel Wednesday. A man who lives in the area made the gruesome discovery near the corner of Seventh and A streets about 11 a.m., near the Chadwick Hotel, according to San Diego police. "The victim's identity is unknown at this time," Lt. Ray Valentin said in the mid-afternoon. Once detectives fully documented the area where the travel case was found, the county Medical Examiner's Office took custody of the body for identification and autopsy purposes, police said. The man who found it said he was taking out his garbage when he saw it. At first, he thought it was left by homeless people in the area who frequently dig through the trash, he said. “I was trying to pick it up by the handle. I was amazed by the weight so I dropped it and I kind of looked down and I saw hair, like black hair." It was a large suitcase. “It was zipped up but you could still see the hair coming from out of the zipper. So after that I kind of like backed up,” he said. He called a friend over. “Is that what I’m looking at right now? And he said, ‘Yeah.’ That’s when I called the police,” he said. Chadwick Hotel manager Bill Kizirizlou said Tuesday night he put the hotel’s seven trash cans on the curb for pick-up Wednesday morning. 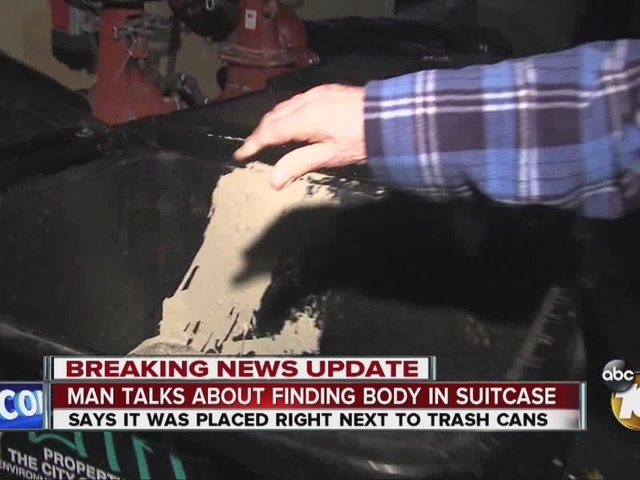 He does not know if the body was already in one of the cans. “Nobody knows, I don’t know,” Kizirizlou said. The trash collectors didn’t take that particular can because the handle is broken, Kizirizlou said. “They don’t touch this one,” Kizirizlou said. The man who found her is haunted by what he saw. “What happened? I mean, what happened out there?” he said. The medical examiner is conducting an autopsy to determine how the woman died and who she is. Police said the body was not dismembered. Police have not named any suspects.